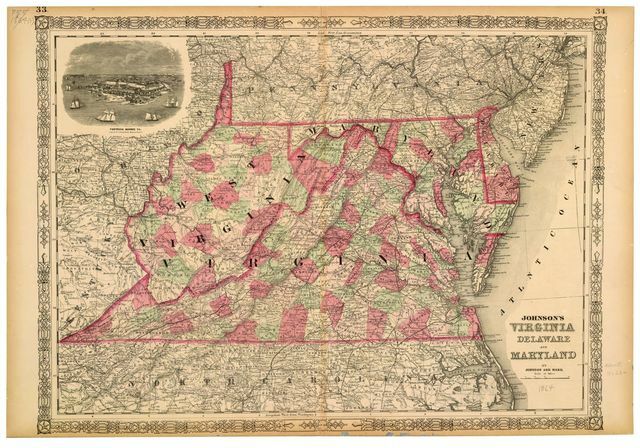 Virginia, Maryland, Delaware, and part of Pennsylvania. 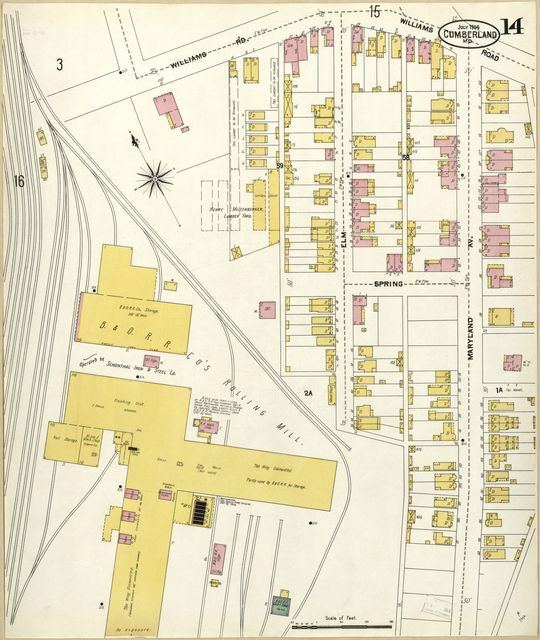 Map of the Baltimore Division; Adams Express Company. Map of the seat of war. 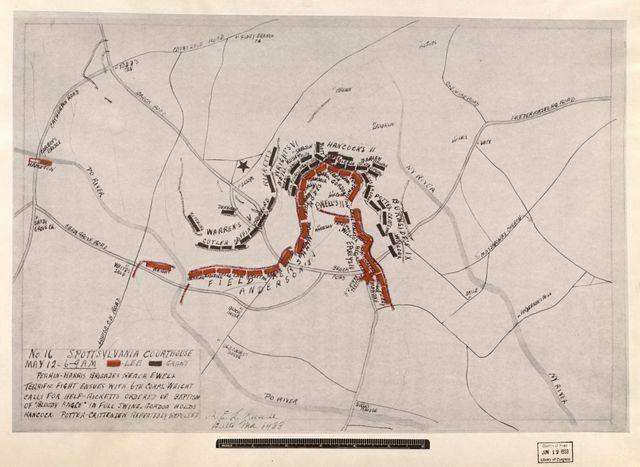 Supplement to P. S. Duval & Son's military map, showing the locations of the present military operations expressly compiled from the latest surveys. 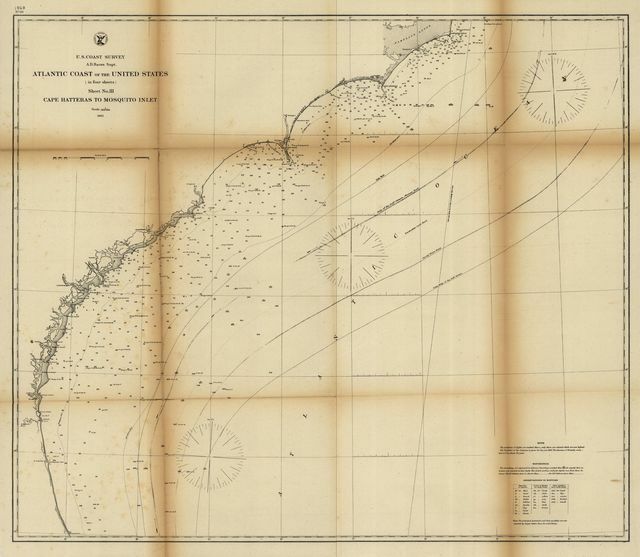 Atlantic coast of the United States (in four sheets) : sheet no. III, Cape Hatteras to Mosquito Inlet. 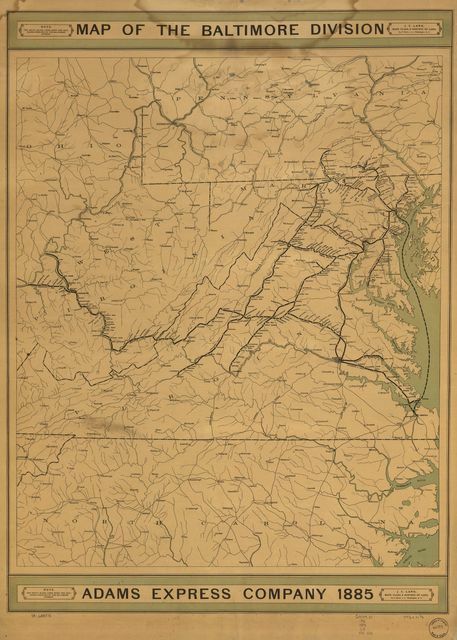 Johnson's Virginia, Delaware and Maryland. 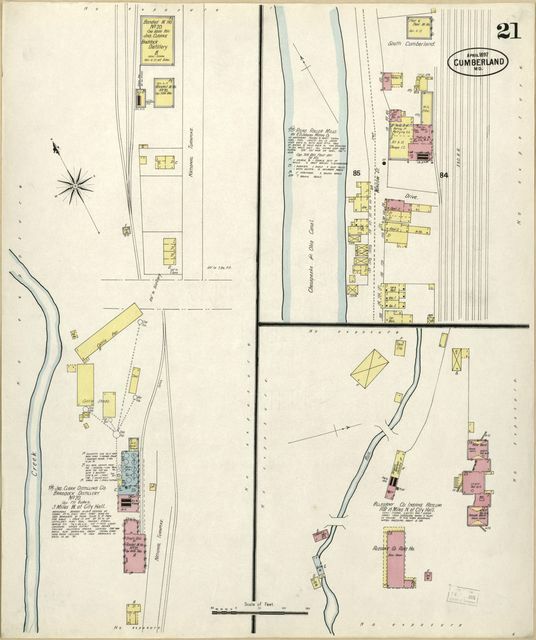 Sanborn Fire Insurance Map from Bel Air, Harford County, Maryland. 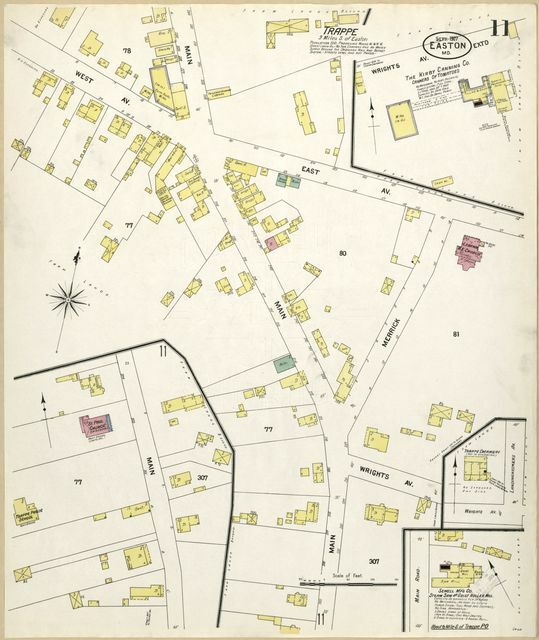 Sanborn Fire Insurance Map from Cumberland, Allegany County, Maryland. 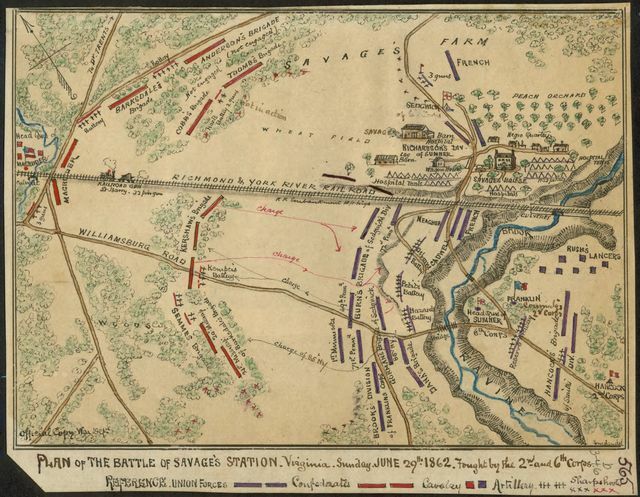 Plan of the Battle of Savage's Station Virginia. 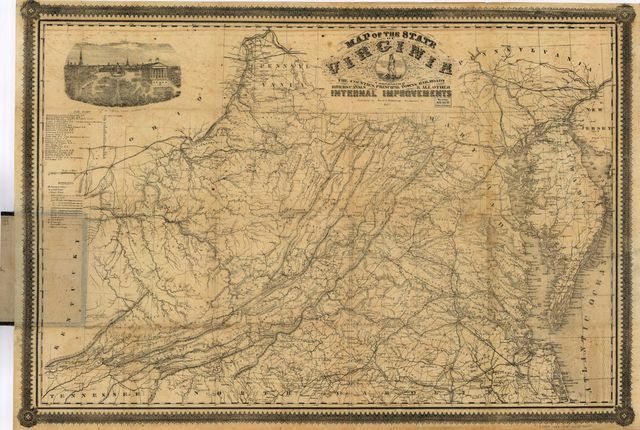 Sunday, June 29th 1862. 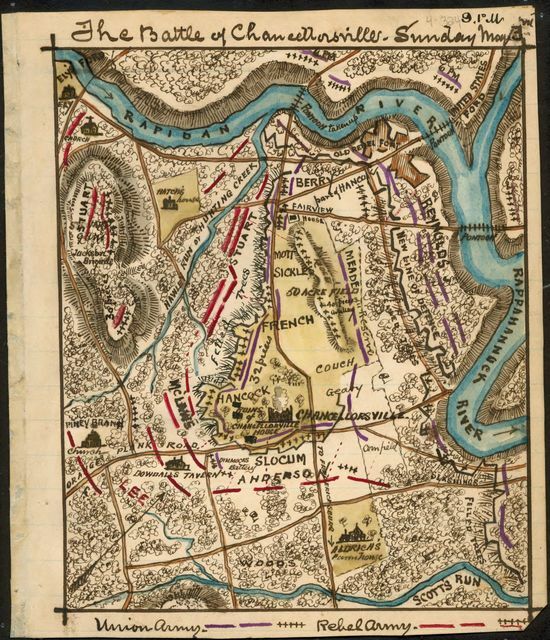 Fought by the 2nd and 6th Corps. 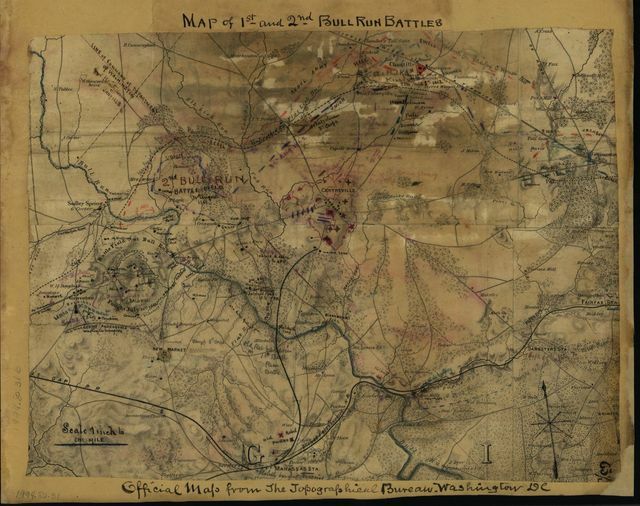 The Battle of Chancellorsville, Sunday May 3rd 9 p.m.